So what was / is Climate Week Paris and how relevant to the built environment? You couldn’t have missed the #CWParis hashtag and tweets from the Business Climate Summit in twitter streams over the past few days. The Climate Week Paris business meeting hosted by The Climate Group was scheduled six months before Paris hosts the UN conference where almost 200 countries are set to seal a (yet another) global climate change pact. There were calls from many company executives at Paris urging governments to introduce more carbon pricing systems, such as a carbon tax or emissions trading schemes. 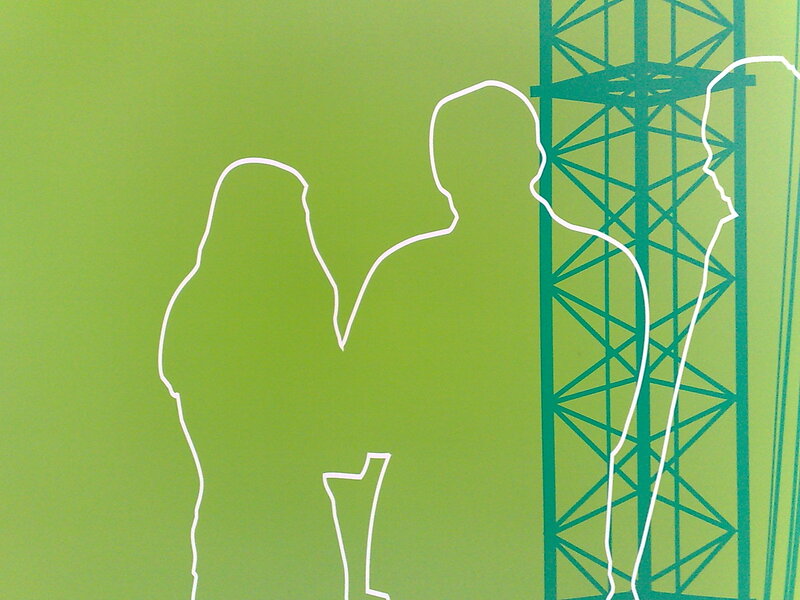 With the Built Environment contributing the (rule of thumb) 40% of Carbon emissions, and a huge influence on business operation the sector had a presence through advocacy organisations and businesses with large built environment assets, but from reports seen and feeds followed, there was a very low presence from built environment providers – if any! One of the main points addressed was the lack of visibility suffered by the construction sector, as topics like energy efficiency and net positive standards are often seen as highly-technical and not understood by the general public. Marks and Spencer (M&S) announced that they joined RE100, a global initiative for major companies committing to 100% renewable power, through their Plan A programme to lower carbon emissions from their activities and building operations. identifying and engaging with ‘Unusual Suspects’, those not as yet engaged in the low carbon built environment dialogue. A call then to the Built Environment news publishers to do similar, to share climate change content and bring that content out from behind paywalls? This entry was posted in comment and tagged BuildUpon, built environment, carbon, Climate Week Paris, co2, net zero energy, Paris, renovation, WGBC on May 22, 2015 by martin brown. Save money! Reduce CO2 emissions! and visit leading innovative sustainable construction solutions and projects from across the European continent. UPDATE: Construction21 Chapters and Green Building Councils from France, Spain, Italy, Poland, Croatia, Romania, Serbia, Ireland, Lithuania, Latvia and Montenegro have joined Construction21EXPO, with many more to be announced shortly. Construction21EXPO EUROPE be held the 18th & 19th of February 2014 and will bring together 500 exhibitors and 20,000 participants including architects, engineers, project managers, investors, and other essential stakeholders. Exhibitors will be able to reach the most active green building professionals across Europe with a very small investment. Exhibitors can gather high quality sales leads from EXPO visitors from both existing and new markets for sustainable construction solutions. Booth setup is very simple but will create very attractive exhibits with your desired branding. 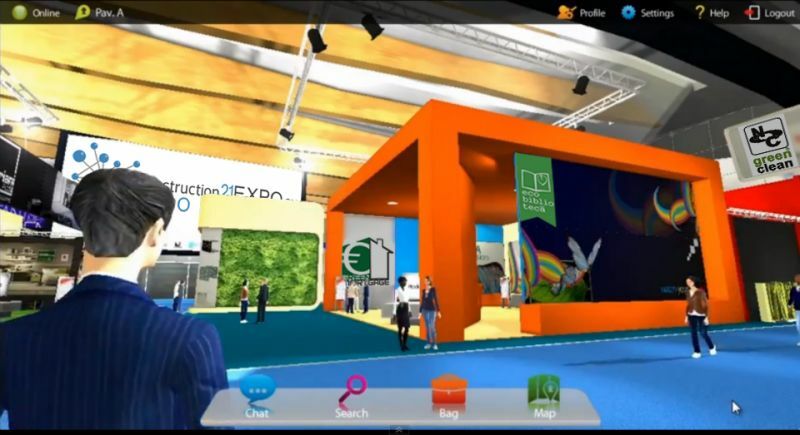 Review the website and watch the video at Construction21EXPO.eu to see the conversational features and rich interactive experience our virtual tradefair will provide. Fees are explained in the Exhibitor section of the EXPO website. Potential exhibitors will also want to visit the Construction21EXPO EUROPE Community to download theIntroduction document highlighting more details on the event plan. This entry was posted in events and tagged be2camp, carbon, co2, construction, construction21, Construction21EXPO, expo, fairsnape, green build, Green Build Councils, Green Vision, Leeds Sustainability Institute, Living Building Challenge, tradefair, virtual on October 20, 2013 by martin brown. At the launch of the British Land Corporate Responsibility Report 2013, Head of Planning and Corporate Responsibility, Adrian Penfold, gave people the chance to quiz him on our approach to corporate responsibility and on our plans for the future. Here are Adrian’s responses to the questions we received via Twitter@BritishLandCR (original wording kept for all questions, including abbreviations). Resource shortages and unpredictable climate patterns posing ever-greater risks to wellbeing and economic stability in developed and developing nations. Public concern about how businesses operate leading people to ask questions about the role of business in shifting to more sustainable models of consumption and supporting wider societal needs. Local, national and global issues stemming from low economic growth, challenges in accessing employment and skills shortages. For the built environment, I think regulation will play an important part, particularly Minimum Energy Performance Standards and Building Regulations. But I believe the real changes are coming through in the attitudes of our customers. In our recent experience, Marks & Spencer and UBS are for example both very challenging in the environmental criteria that they require, particularly on new buildings. We welcome this, as we are well positioned to work with them in this area, and we expect to see more of this kind of requirement from other businesses. Do read the whole article for similar comments on the built environment current challenges of wellbeing, energy, co2, green leases and green deal. In addition to the comments this is another brilliant example illustrating the maturity of twitter in the built environment / corporate social responsibility sector, and why it should be a key tool for construction boards strategy planning. This entry was posted in comment and tagged British Land, climate, Climate Change, co2, CSR, resource shortages, Strategy, sustainability, Twitter, well being on June 17, 2013 by martin brown. In 2006 Kate Rawles cycled 4553 miles from Texas to Alaska. Along the way she talked to ordinary Americans about their views on climate change and saw for herself some of what’s at stake. 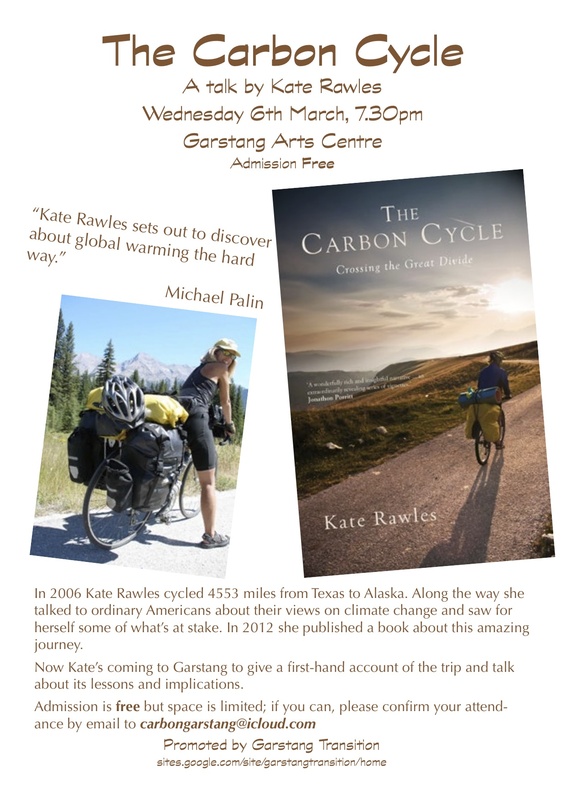 This entry was posted in carbon, cycling, events, literature, sustainability and tagged carbon, co2, cycle, Garstang, Kate Rawles, The Carbon Cycle, transition on March 3, 2013 by martin brown. Reducing carbon emissions and lifting home owners out of fuel poverty traps were central to the development of Green Deal. Reducing CO2 through Green Deal was part of the government’s fourth Carbon Budget to deliver the Climate Change Act 2008. Yet amidst all the financial assessment and standards debates over the last 12 months, these drivers seem to have taken second place. I have commented elsewhere that if the Government were serious on these two aims they would fund home improvements directly, rather than through complex repayment schemes. In addition to reducing CO2 it would of course create employment and have other financial spending knock ons. After all if our social housing stock was still within local council or government control would this not be the approach taken? Generate up to 71,000 jobs and boost GDP by 0.2% by 2015 and create up to 130,000 jobs by 2027. Mike O’Connor, Chief Executive at Consumer Focus, said: Using carbon taxes to ensure our homes leak less energy represents a triple-whammy. This would simultaneously improve the quality of life of millions of people, slash carbon emissions and generate greater economic growth than other measures. But why wait? This could be a hugely powerful CSR, Corporate Social Responsibility, opportunity. Construction projects and organisations could voluntarily offset CO2 emissions (if offset is the right word here) by improving the energy performance of badly insulated homes and families trapped in fuel poverty, within their community or neighbourhoods. This entry was posted in comment, Green Deal and tagged carbon tax, co2, constructco2, Consumer Focus, greendeal, PPP on November 12, 2012 by martin brown.